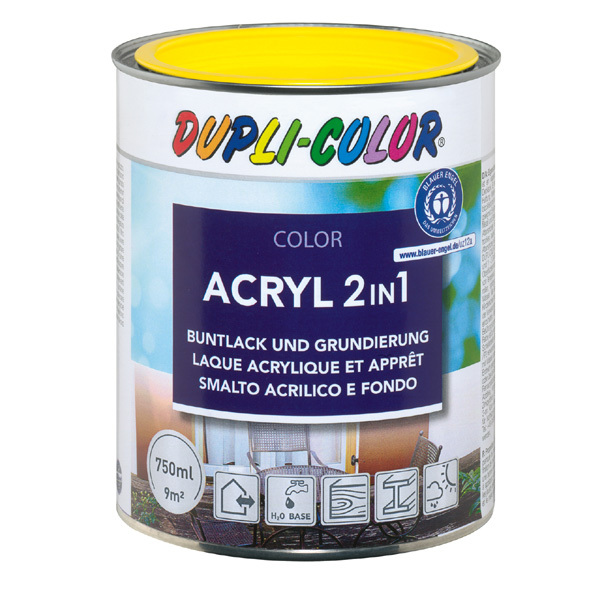 DUPLI-COLOR acrylic-based 2in1 paint is low-odour, water-dilutable, resistant and fast drying top coat. It enables paintings in the highest possible quality. 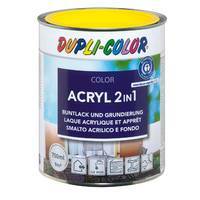 The Clear Lacquer in this series is high transparent and ideal suitable as gloss coat on already painted surfaces. The paint is excellently suitable for all paintable surfaces like wood, metal, stone, plaster, rigid plastic, zinc etc. and bearing old coats. Cleaning of tools: immediately after use with warm water and if necessry with a cleaner? Sand surface and prime with DUPLI-COLOR Aqua Universal Primer, rough wood with wood impregnating ground and metal with Rust Protection Primer. Apply 1-2 final coats depending on wear.